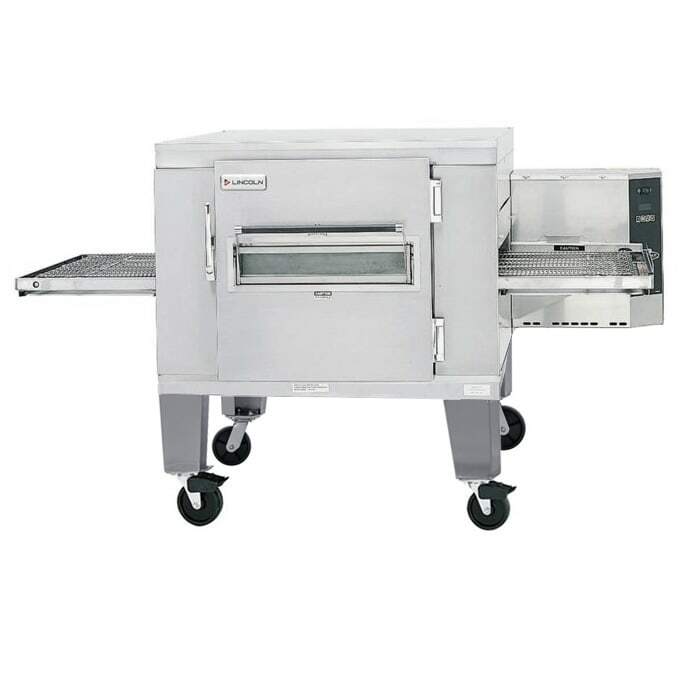 The Lincoln 1400-1E electric conveyor oven is excellent for baking pizza, pretzels, and more. 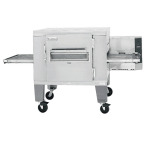 Air impingement quickly and evenly heats food, and an included product stop shuts down the unit when necessary. For replacement or cleanup, the 73-inch by 32-inch conveyor can be removed from the side. Temperatures range from 260 to 600 degrees Fahrenheit and are displayed on the control panel along with belt speed and diagnostic messages. The Lincoln 1400-1E electric conveyor oven’s cook time spans from 1 to 30 minutes. More information on conveyors is available in the conveyor ovens buyers' guide.